let’s start with some “L” highlights from Instagram! @fitpossible & her life, lift, lunch, & love post! @brookeeking made my 5 ingredient lentil loaf! Yay! @angelee0801 & her lemon water! Lemon is so good for our bodies! Good job ladies!!! You can find these recipes by following their accounts. Today, M is for…Mary’s Gone Crackers! Heather & I love Mary’s Gone Crackers & their message behind their products! Check out Raw ‘n Sweet Red Pepper dip that Heather paired with Mary’s Gone Crackers! 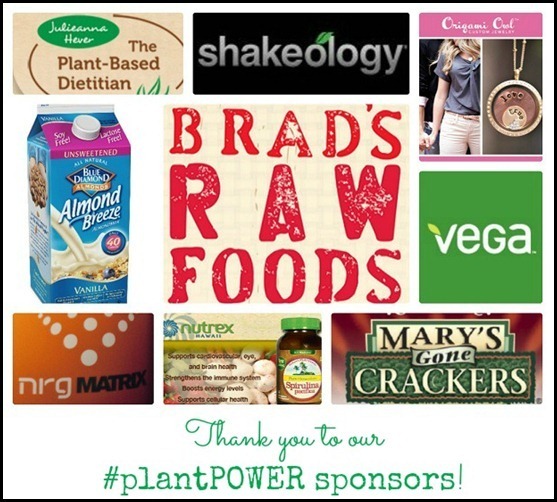 I enjoyed Mary’s sea salt pretzels for a tasty #plantPOWER snack while I was vacationing at the beach with my bittie this summer! 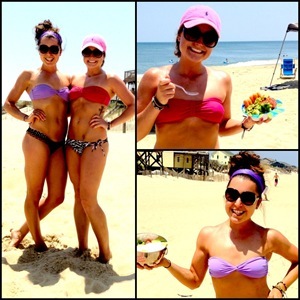 These were an everyday munchie on the beach with our #powerBOWLS! So, now that you see why we love these snacks – you may want to try them, right? Well our awesome friends from Mary’s Gone Crackers are letting you have a chance to try them for yourself! 1 box of the NEW bread crumbs! Head on over to Heather’s post today to enter! Visit Mary’s Gone Crackers’ web site, browse through their products, and let us know what you would most love to try below in the comments section. 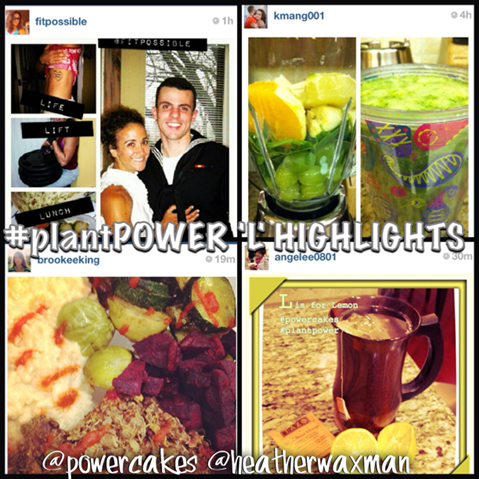 Instagram the above giveaway photo and tag @GoneCrackers, @heatherwaxman, and @Powercakes! 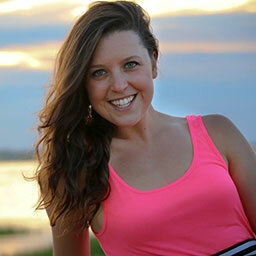 You have until February 26 at 5:00 p.m. EST to enter ALL giveaways! GOOD LUCK. I would love to win some of the crackers!! I would love to try the crumbs and make some healthy chicken or turkey! I’d love to try the crackers!! In fact, I know my husband would love to try the crackers . . . he just asked about buying some the other day, but we didn’t know what they would taste like so we decided to hold off. Today, M is for Mushrooms! I build a power salad loaded with sliced mushrooms. I needed a Vitamin D boost! I love their crackers and can’t wait to try the pretzels! I’ve been wanting to try their pretzels. The curry pretzel sticks sound amazing!!!! 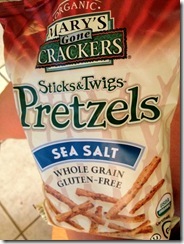 I’m gluten intolerant and seeing pretzels that are gluten free and nutritious is wonderful! The suggested accompaniment with mashed cauliflower is something I definitely want to try. I would love to try these with some edamame hummus as well! I’d love to win these products so I can try some new flavor combos. I’d love some of the chocolate cookies! I would love to try their pretzels!! I would love to try their cookies and pretzels! Long days on campus call for healthy snacks in between classes!